Our free Caregiver Wellness Retreats for family and friend caregivers were a huge success. We held a total of 7 Retreats, with 183 caregivers attending across the province! Caregivers had the chance to spend time with other caregivers, learn about self-care, enjoy a delicious lunch, and share a few laughs. These Retreats wouldn't have been possible without funding from Employment and Social Development Canada's New Horizon's for Seniors Program, and the help of so many different people. To see the full list of thank-you's for our 2018 Retreats, click here. This year we turned to social media and provided a special section of our website to celebrate Caregiver Awareness Month. Have a look at the different content of our awareness campaign here. A big THANK YOU to everyone who joined the conversation and helped us raise awareness about all that unpaid caregivers do for their loved ones and communities. Read the written brief we submitted. (you may need to download Adobe Flash Player). All staff members contributed to our submissions to the Committee. This was a terrific opportunity for us, and a great way to end Caregiver Awareness Month 2017. Caregivers Nova Scotia gratefully acknowledges the Sobey Cancer Support Centre for providing the space for this workshop. 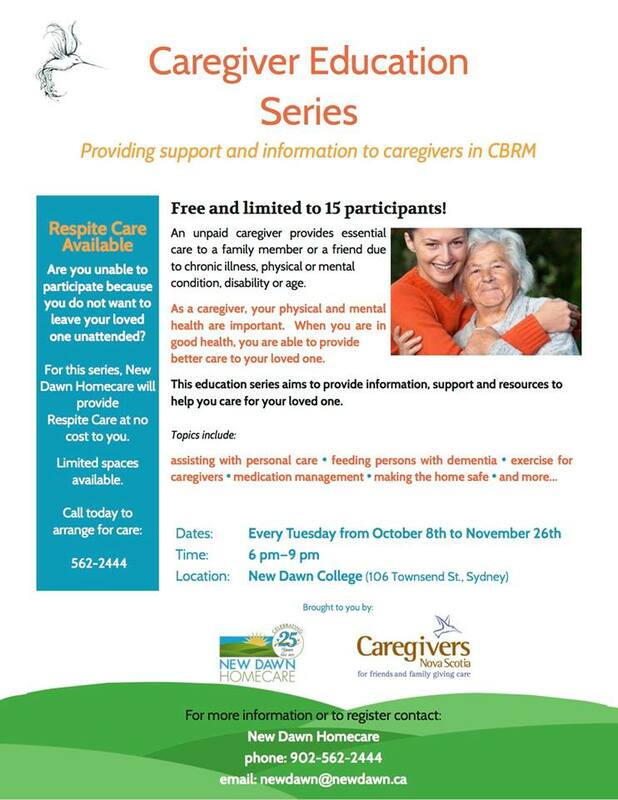 CNS is pleased to be delivering our Caregiver Stress Management Workshop as part of this event. Caregiver Stress Management - in collaboration with March of Dimes Canada. For friends and family who care for someone with a physical disability. Caregivers Nova Scotia is thrilled to be invited by Muscular Dystrophy Canada to deliver our Caregiver Stress Management Workshop as part of their 2-day Caregiver Retreat at beautiful Liscombe Lodge. The Retreat is sponsored by Lawtons Drugs. Caregivers Nova Scotia is pleased to be participating in this event. We will have an information table, and our Jennifer Briand will be presenting on stress management and self-care for caregivers. This year we turned to social media to celebrate Caregiver Awareness Month. Our messages reached over 13,000 people, with over 600 retweets, likes, and shares! To see the messages we included in the campaign, click here. Thank you to everyone who joined the conversation and helped us to raise awareness about all caregivers do for their loved ones and communities. Wednesday, May 25 at 12:30 pm. CNS is pleased to be part of the Conference again this year! Angus Campbell will be delivering the keynote address, and Jennifer Briand will be delivering our Safe Medicines for Seniors and Caregivers Workshop. Wednesday, April 27 at 2:00 pm. Monday, April 19. 1:00 pm. Liverpool. Brushing up on Mouth Care will start at 1:00 pm. Fraud Awareness will start at 2:45 pm. Refreshments provided. Wednesday, November 25 at 12:30 pm. For friends and family who give care to someone with Type 1 Diabetes. Thursday, November 5. 6:00 pm to 8:00 pm. As a family/friend caregiver, you are invited to attend a caregiver retreat to give you time for yourself so you can relax, restore, and renew your mind and body. These retreats are made possible by the Nova Scotia Department of Seniors' Positive Aging Fund. To find out what events are planned for each retreat, see our brochure. Safe Medicines for Seniors and Caregivers will start at 1:00 pm. Falls Prevention will start at 3:00 pm. Refreshments provided. Tuesday, September 29 at 1:30 pm. Friday, June 12 at 1:00 pm. Thursday, June 11 at 1:00 pm. Monday, June 8 at 10:00 am. Wednesday, June 3rd at 1:30 pm. May is Caregiver Awareness Month. To celebrate, we hold Caregiver Appreciation Teas across the province. Click on the name of an area below to display the poster for that area's event. This year, we are very excited to be partnering with Nova Scotia libraries to help raise awareness about family/friend caregivers. Some of the Teas will take place at libraries, where a librarian will speak about their programming, books, and other resources that may benefit caregivers and care recipients in their community. 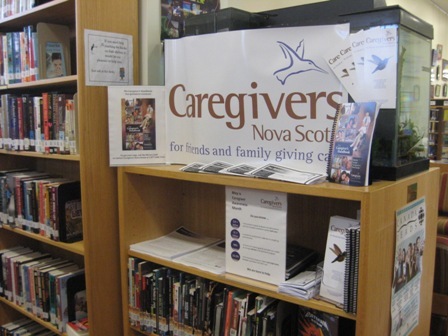 Forty-three libraries will also feature a Caregivers Nova Scotia display. 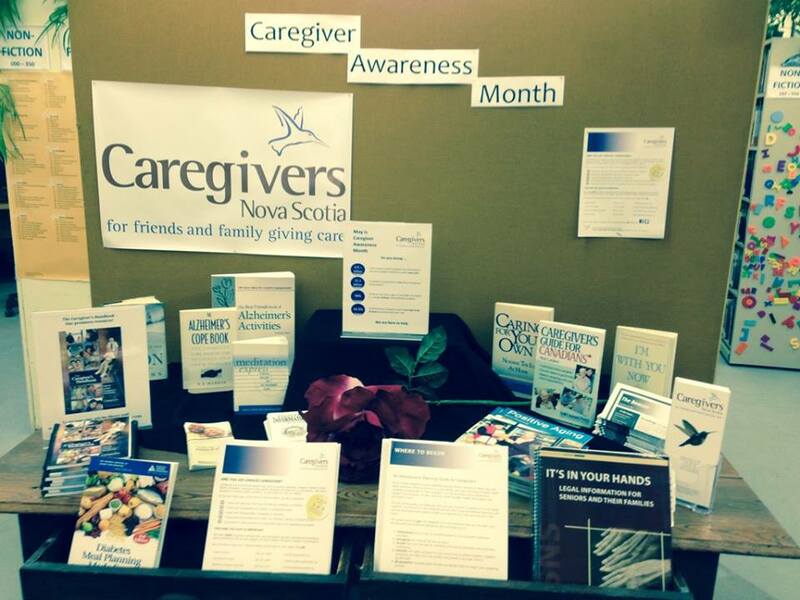 You can find our Caregiver Awareness Month displays at the libraries below. Antigonish Antigonish Town & County Library - click here to see a photo! Baddeck Baddeck Public Library - click here to see a photo! Bedford Bedford Public Library - click here to see a photo! Windsor Windsor Regional Library - click here to see a photo! Wolfville Wolfville Memorial Library - click here to see a photo! Wednesday, April 29 at 2:30 pm. Vision Matters will follow at 2:45 pm. Tuesday, March 31 at 1:00 pm. Tuesday, March 31. Lower Sackville. Safe Medicines for Seniors and Caregivers will start at 1:30 pm. Falls Prevention will follow at 3:00 pm. Wednesday, February 25 at 10:00 am. Wednesday, February 25* at 1:00 pm. *Please note: this workshop was rescheduled from Feb. 9 due to weather. If you registered for the Feb. 9 workshop you do not need to register again. Thursday, February 12 at 2:00 pm. Wednesday, January 14, 2015 at 6:00 pm. *Snow date: Wednesday, February 11. Thursday, November 27, 2:30 pm. Please Note: room capacity limited to 25. Tuesday, November 4 at 1:00 pm. Glace Bay. Friday, October 24. 9:00 to 3:00. Wolfville. 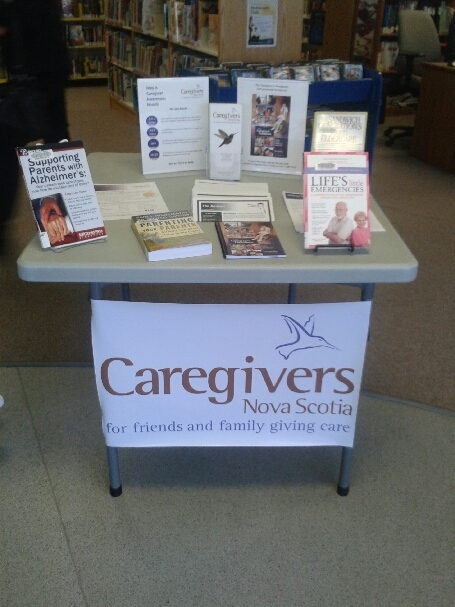 Caregivers Nova Scotia would like to thank the 150+ visitors who stopped by our display table to learn more about our programs and services! Wednesday, September 17, 10:00 am to 3:00 pm. Port Greville. Presented by Shore Drive Community Development Association and CNS. May is Caregiver Awareness Month. To celebrate, we hold Caregiver Appreciation Teas across the province. Click on the name of an area to display the poster for that area's event. 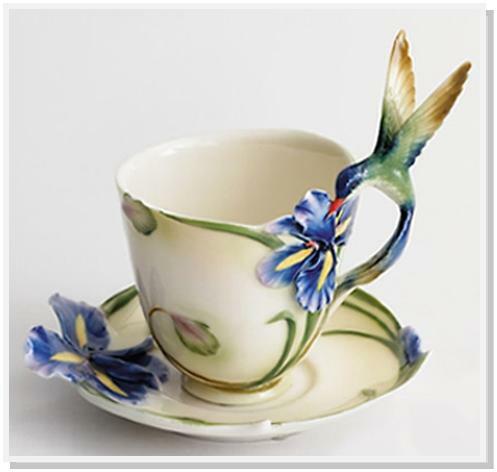 The hummingbird symbolizes performing the impossible, working at lightening speed, surviving extremes, and often flying solo -- just like a caregiver. Tuesday, February 11, 2:00 pm to 4:00 pm. Sydney, Cape Breton. October 8 to November 26, 2013. 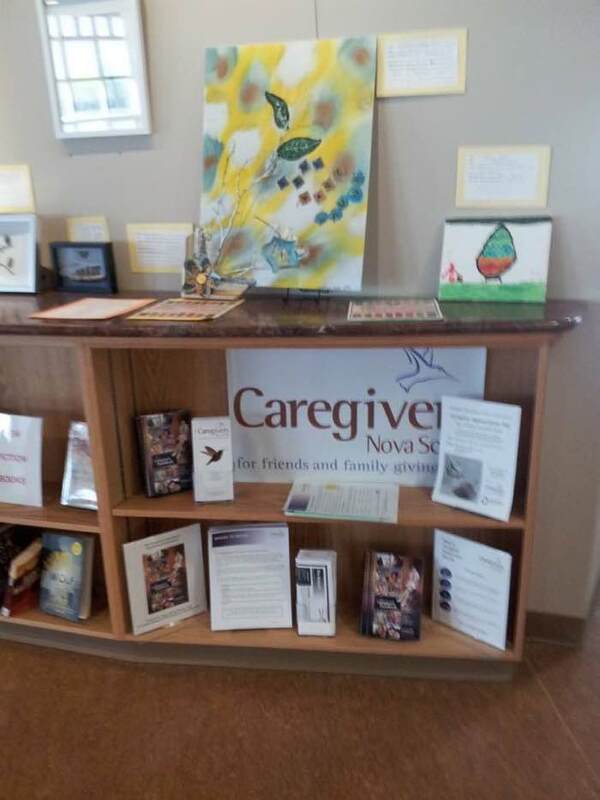 Caregivers Nova Scotia Association (CNS) and New Dawn Enterprises collaborate to provide a free, seven-week Caregiver Education Series. Caregiver Appreciation Teas were held across the province to celebrate Caregiver Awareness Month. You can click on an area to display the poster for that area's event. On Saturday, June 22 we will be holding our Annual General Meeting (AGM). Please click for details. Everyone is welcome and we ask that you RSVP. Thanks.